I have road-tripped Europe before, but no place has hit my soul the way the countryside of Ireland has. It’s impossible to drive more than 5 minutes without screaming “PULL OVER”. I was one of two drivers who non-stopped slammed on my breaks every 2 minutes or almost drove off a cliff because I was memorized by the views during my Ireland road trip. If it’s not hard enough driving on the opposite the side of the road, add in the distraction of panoramic views and wild animals hanging off cliffs. Since my road trip last month, Ireland is a dream that I can never get off my mind. It is special. The people are kind, the ambience is authentic, the heritage is celebrated in the streets and in bars, the breakfast is just ridiculous. It is worth experiencing. The great part about road tripping the countryside is the authentic experience of interacting with locals instead of other tourists. Ireland is very easy to road trip mainly because they have so few roads, but that’s also what makes it so spectacular. The views are endless without distraction. (Did I mention the views yet?) The tricky part is that in the countryside they don’t have addresses, so you’ll have to get used to getting from A to B with descriptive directions. But this is much easier than it seems. If the instructions say “when you get to the supermarket and turn right”, it’s not very hard when there is one road and the only thing on it is a supermarket. And sometimes getting lost is the adventure. But you got this! 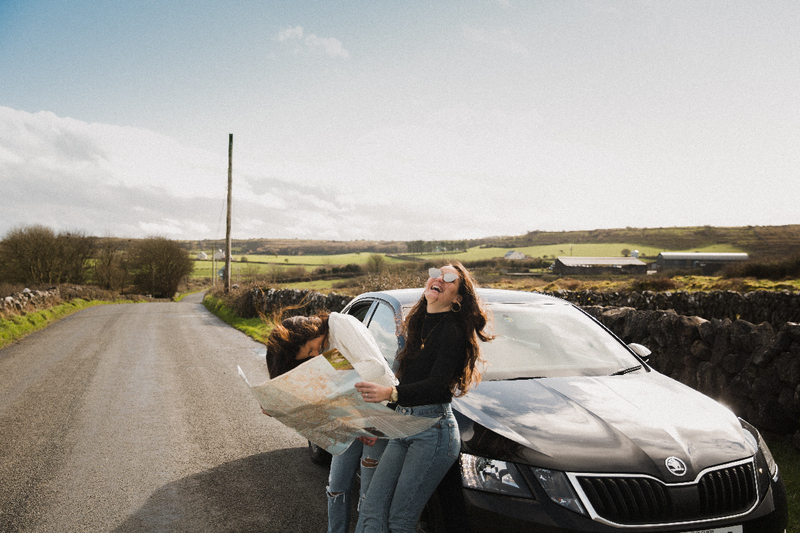 To start your epic 1-week road trip through the Irish countryside, I recommend you fly into Shannon Airport (SNN), rent a car, and drive to Killarney. You can book in advance and pick up the car at the airport when you arrive. It’s open 24 hours. You can have an entire vacation in Killarney alone. 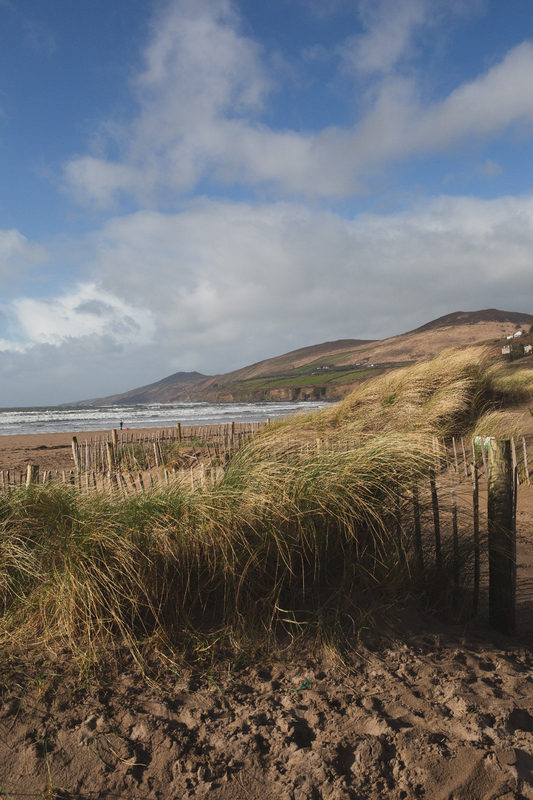 It is a gorgeous and lively town that is perfectly located to take day trips to Dingle & Kenmare. You can also visit Ross Castle and Muckross Abbey. Just note that if you do visit in the offseason the castle will be closed, but you can still visit the grounds. A quick overnight stop in Lahinch will break up the long drive from Killarney to Galway. 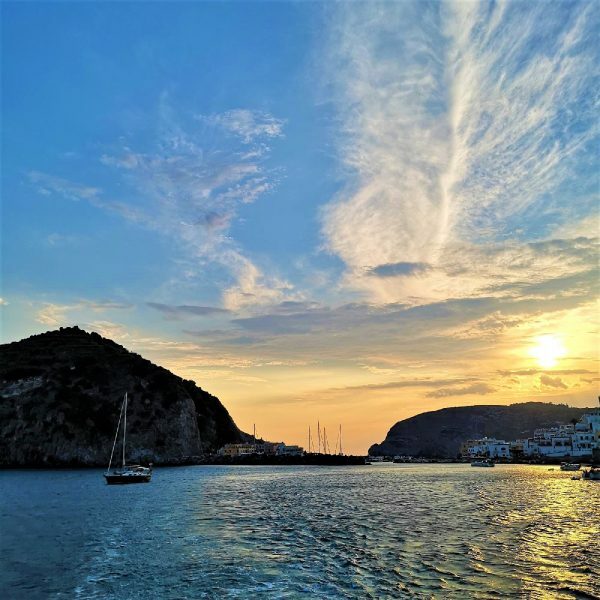 Plus, there is so much to explore on your way. 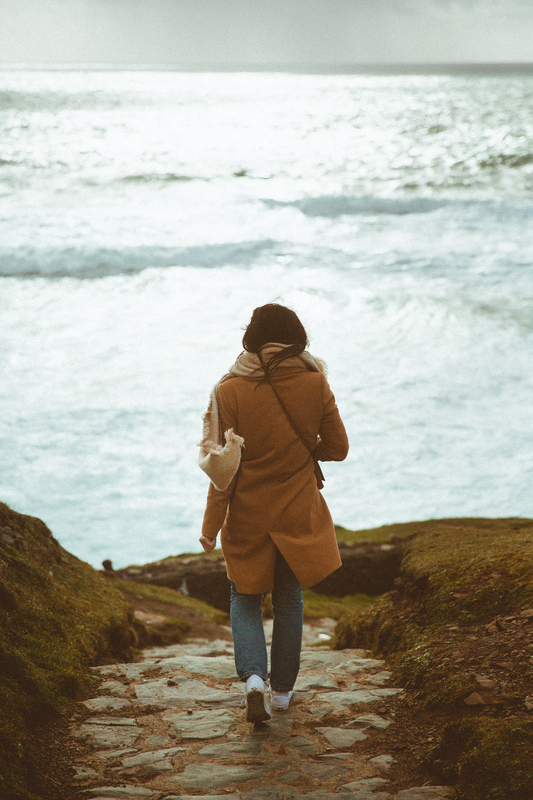 You’ll want to wake up early for a 15-minute drive to the Cliffs of Moher. You should also stop in a nearby coastal town, Doolin. 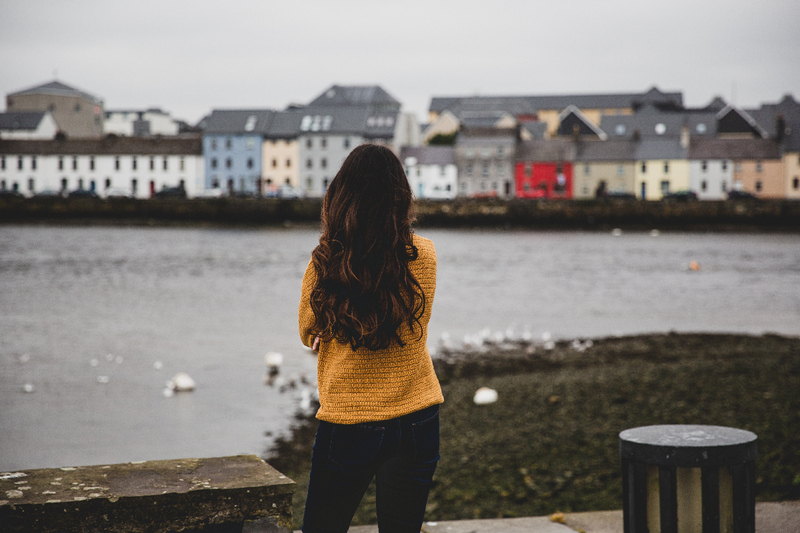 There is so much culture, heritage, and food to be explored in Galway. If you have more time than a week, I strongly advise you to extend your stay in Galway. You must experience the nightlife even if you aren’t a “partier’. You will find the young and old singing Irish folk songs shoulder to shoulder. 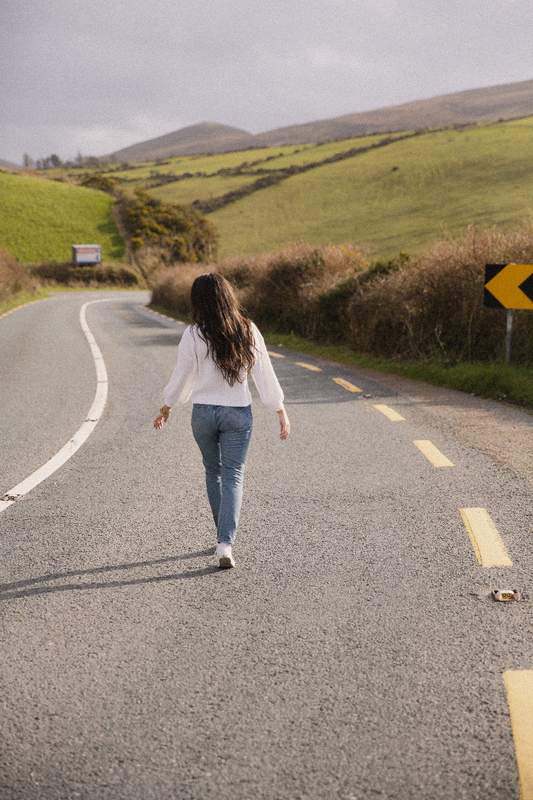 There is so much to see and do on the way, but here are the 10 things you must absolutely experience on this Ireland road tripping adventure! Our first road trip stop was in Killarney where we found a little piece of Irish heaven called J.M. Reidys. On the outside, this 1870’s building looks like a little coffee shop with a confusing name “Bakery, flour, and meal”. 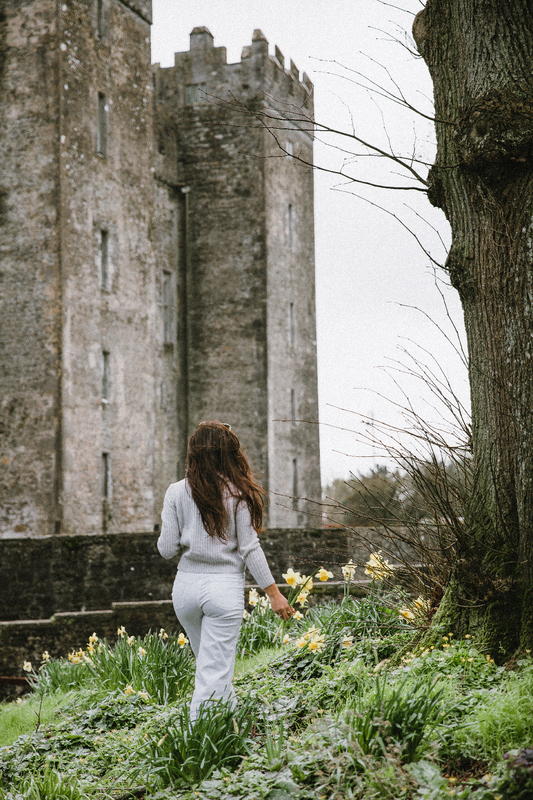 But once you explore, you’ll find a piece of Ireland so rich in history. A humble storefront that just keeps getting bigger, with more alleyways and little nooks and crannies. You can come here for a nightcap or live music and a pub crawl. There’s a space for you. 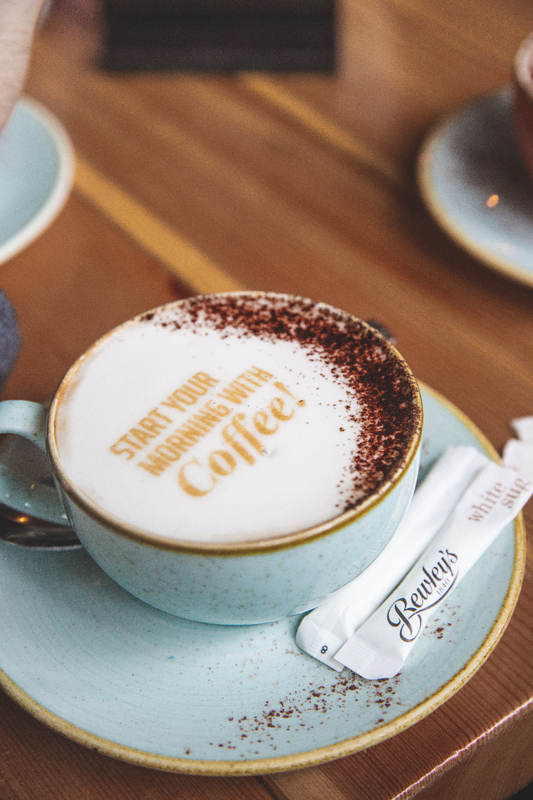 Do you want a cappuccino with an inspirational message on it? Who doesn’t? Drive Connor’s pass down to Sammy’s for a cafe on Inch Beach. 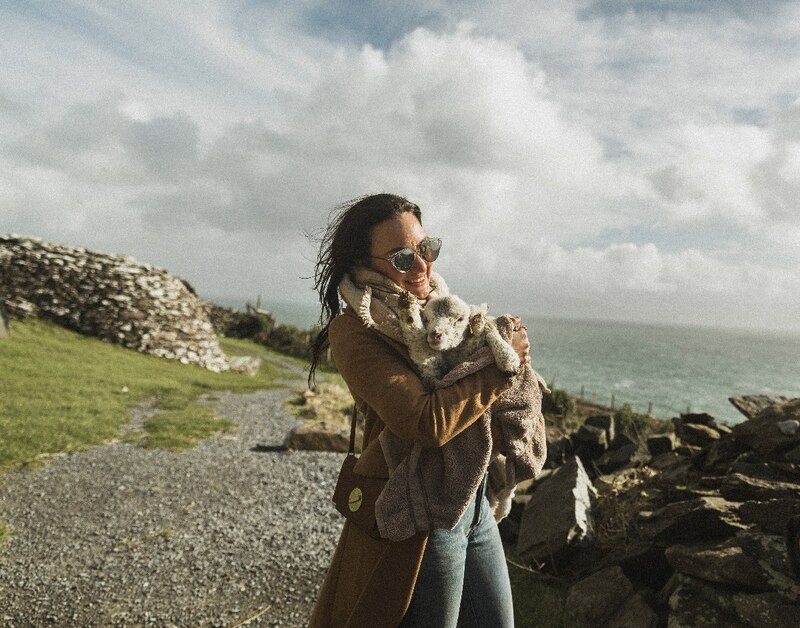 You will feel like you’re in movie Brooklyn when she takes a little beach trip with her pals in Ireland. You can go off-roading and drive along the beach. This is the “calm” before you see the incredible waves against the cliffs on Slea Head Drive. Driving through Slea Head Drive is your dream for every road trip; an open road on top of a cliff overlooking the Atlantic Ocean. And just when you think it can’t get any better, you’ll find a handwritten sign that says ‘hold a baby lamb”. It will be the best 3 euro you have ever spent in your life. We climbed up a small pathway to meet a local man who only spoke Gaelic and had a few animals including a baby lamb. It’s a good way to give back to the locals. You won’t be able to drive more than 5 minutes before pulling over to photograph the views. Look for signs for where they filmed a scene in Star Wars. You can look at the view from the top of the cliffs or hike down and watch the waves from the ocean. 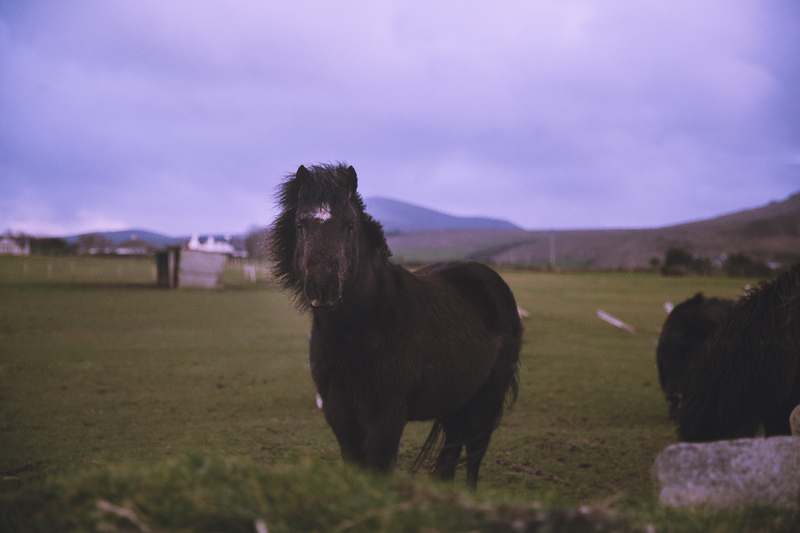 Horseback riding in Ireland will be an experience that you will remember for your whole lifetime. You can ride on the beach, the countryside or through the Burren based off of your level of experience. But they do have trails for beginners and it’s an incredible way to experience Ireland from a perspective you will never forget. After leaving Killarney and on your way to Lahinch, you can take the ferry to the Loop Head Peninsula. The Cliffs of Moher are gorgeous, but it is insanely crowded even in the offseason. You have to pay per person to park and there is a fence just in front of the most famous spot to photograph. When we took a drive onto the Loop Head Peninsula, unfortunately for us, it was very windy and rainy that day. But the whole peninsula is yours to explore. Drive to the very end you will find a lighthouse on a cliff. The cliffs are as powerful and gorgeous as the Cliffs of Moher even in the rain. But unlike the Cliffs of Moher, it will feel like you have found this Irish treasure just for yourself and it’s spectacular. Quay Street is the most famous street in Galway and for good reason. 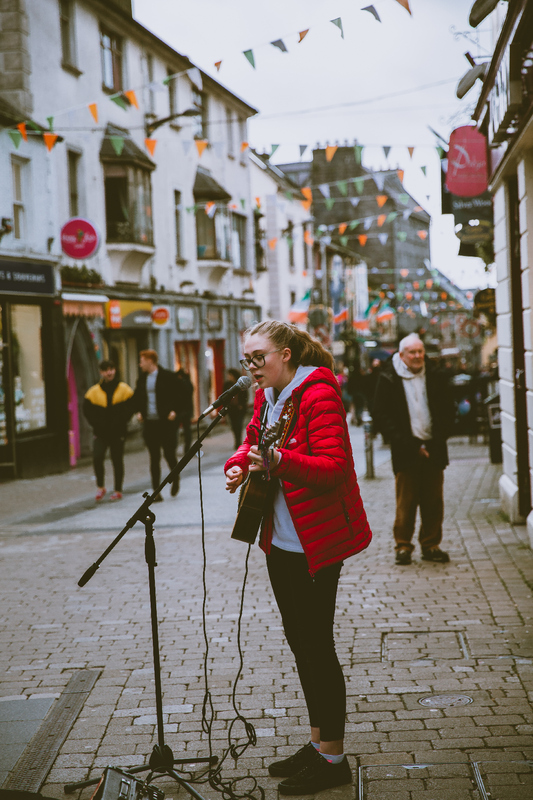 The streets of Galway are filled with talented performers and street musicians. 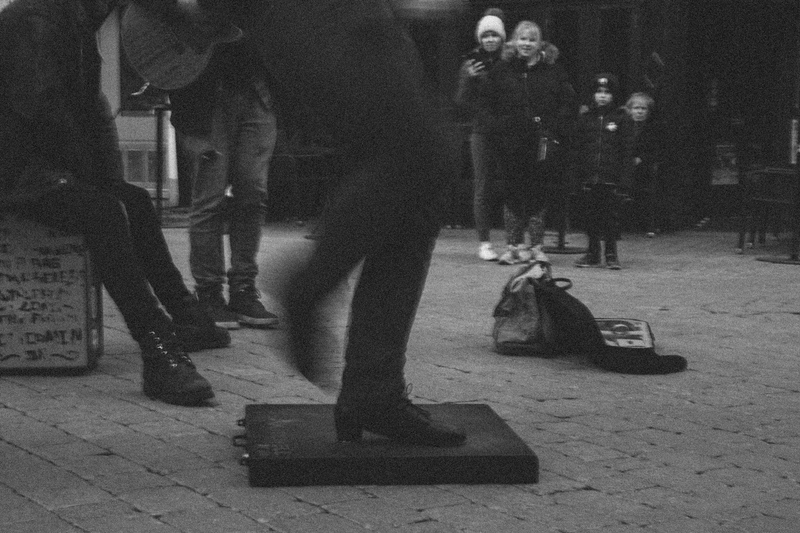 You will witness performances ranging from Irish step dancing to an Irish folk band to Ed Sheeran covers. I think of it as the “Nashville of Ireland” and instead of playing country music, it’s filled with traditional Irish instruments. Which heightens the experience and makes it more authentic. The talent will stop you in your tracks. The best bars near there are the Quays Bar, Kings Head, Roisin Dubh, Neachtains, O’Connell’s, King’s Head, and Tig Coili. If you have seen photos of Galway on Instagram, you probably already know about the pictures of a cute Fishermans town of colorful houses. 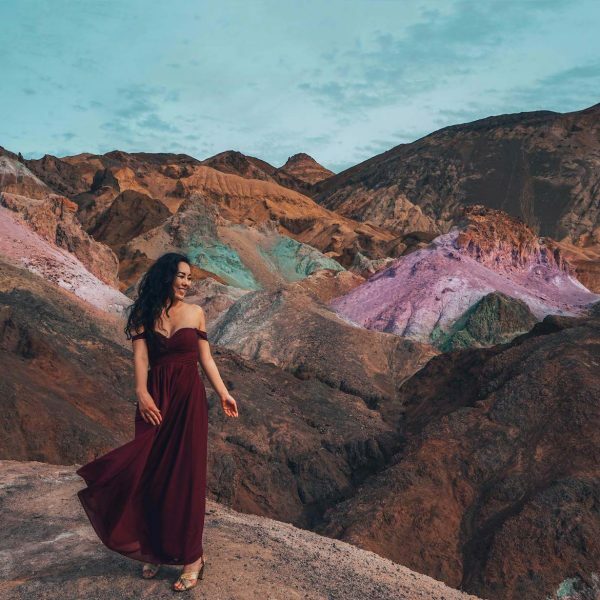 It is a very Instagrammable spot just across the river. You can walk or drive thereby putting in the Long Walk into your GPS/Google Maps. The panoramic view of the houses is in Ed Sheeran’s music video of Galway Girl starring Saoirse Ronan. 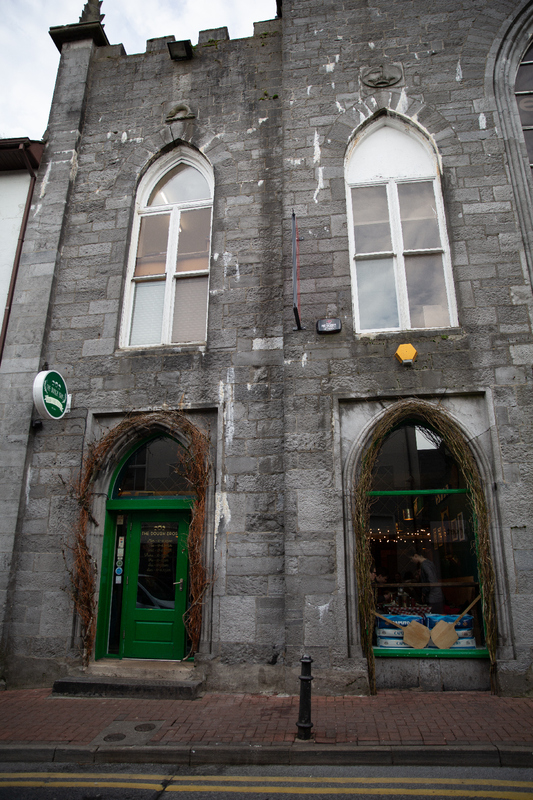 The Dough Bro’s is a pizza place in Galway created by two Irish brothers. I was not sold on eating pizza in Ireland. We got there and the line was about 20 minutes long. Now, I was curious and also suspicious that it could live up to the hype. This was the best wood fire pizza I have ever had and I’m from New York. Order the “Hey Pesto”; it was so good that we went back for seconds a few hours later. Even better, during the springtime, they decorate their door with an arch of spring flowers (they also have a little shop in O’Connell’s which I listed above as one of the best bars near Quay street). O’Connors Pub is the bar that Ed Sheeran had filmed his previously mentioned music video for Galway Girl. If you want to feel like you got the true Galway experience, this is your pub. It’s everything you could hope to experience. Unfortunately, since we went during the off season we could not do the Banquet dinner at Bunratty Castle. The folk park is open to experience the homes and village, the actors are not there until spring. It’s a reconstruction of all aspects of life during medieval times; the homes, the town, the costumes. 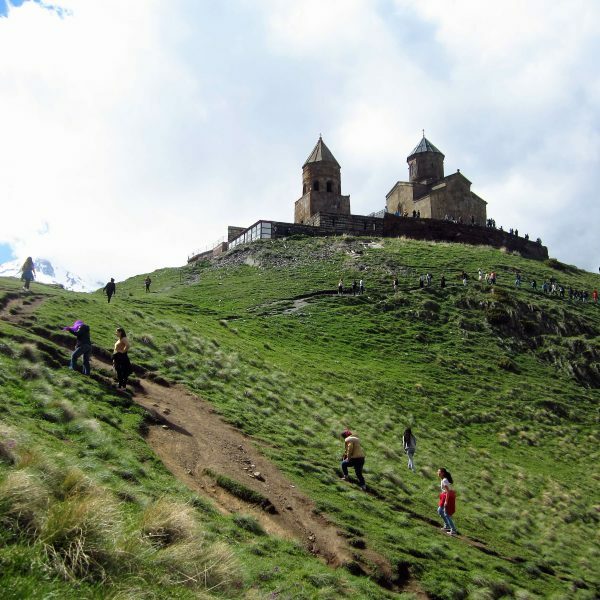 During peak season, you can have a banquet dinner inside the castle and live your Game of Thrones dreams. It’s 63 Euros per adult. You can buy tickets online. 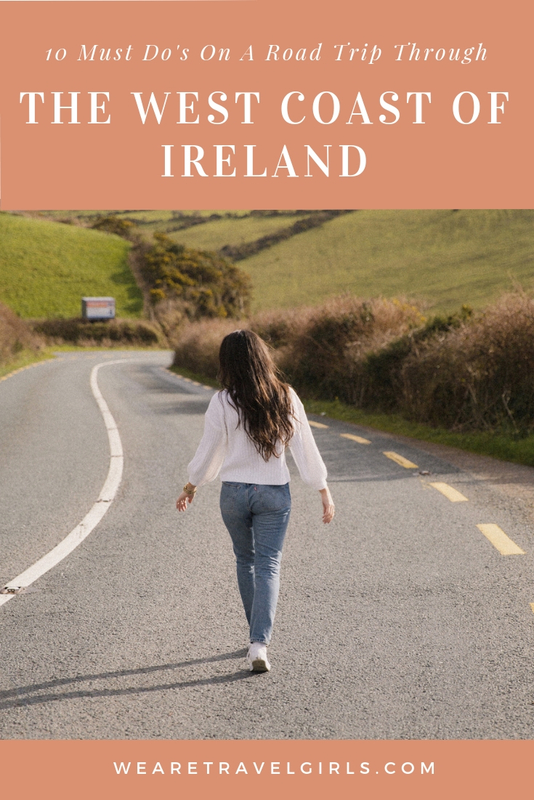 Taking a road trip through Ireland is a once in a lifetime experience and I highly suggest you do this amazing drive for yourself! 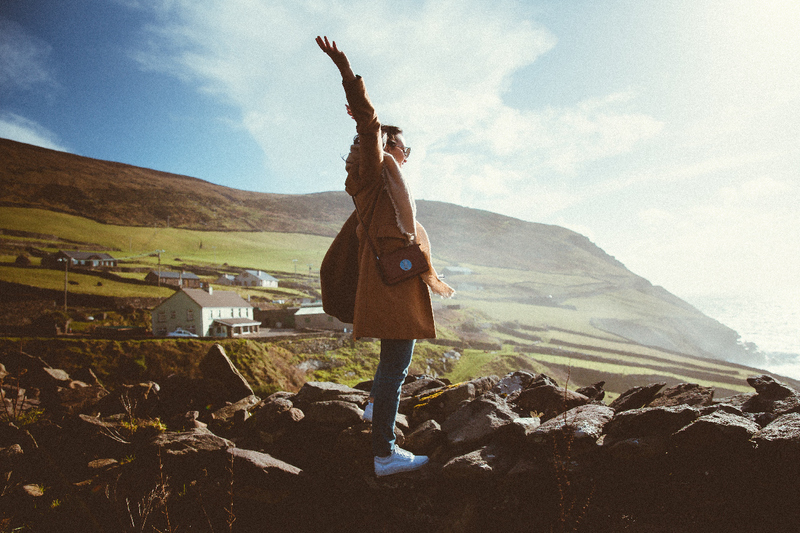 We hope that this article has helped inspire you to plan an Ireland Road Trip. If you have any questions about the destination or have your own travel tips to share please leave these in the comments below. I was in northern Ireland for a short three days trip and absolutely did the same , pulling over every minute 😁. It”s so hard to not be in awe of everything! it’s incredible.